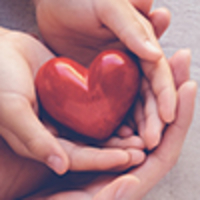 Provide comfort for the family of Jill Comstock-Smith with a meaningful gesture of sympathy. It is with great sadness that the family if Jill Frances Comstock-Smith, 63 of Stonehurst, passed away on Wednesday, December 19, 2018 at home. Born in Lunenburg, she was the daughter of the late Frank Leslie and Margaret (Nichols) Comstock. Jill is survived by her husband, Kim; sister, Wendy (Kevin) Mayo, First Peninsula, brother, Christopher (Karen) Comstock, Spectacle Lakes; sister -in-law, Sue Comstock, Lunenburg; step-sons, Morgan (Olivia) Smith, Northwest, Nathan (Julie) Smith, Halifax; step-grandchildren, Finley and Searlaite Smith and several nieces and nephews. Jill was predeceased by her parents and brother, Peter. Funeral Arrangements are under the direction of the Dana L. Sweeny Funeral Home, 11213 Hwy. # 3, Lunenburg. 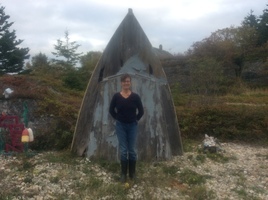 A celebration of Jill’s life will be held at The Dory Shop, 132 Montague St. Lunenburg on Saturday, January, 5, 2019 at 2:00 p.m. Please bring your own food and drink. In lieu of flowers memorial donations may be made to The Ark in Bridgewater. To plant a memorial tree in honor of Jill Frances Comstock-Smith, please visit our Heartfelt Sympathies Store. 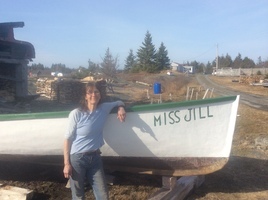 A celebration of Jill's life will be held on Saturday, January, 5th, 2019 at 2:00 p.m. from the Dory Shop in Lunenburg, 132 Montague Street. Please bring your own food and drink. Donations are being accepted for: The Ark . Caring thoughts to you all at this time. Her star shines brightest. My condolences to Jill's immediate family, relatives and friends at this difficult time. Jill was such a warm and caring person, her presence will be missed. Kim, Wendy, everyone. Jill was always a bright spot in my day and I'll miss the warmth of her smile. From this half of "Putzstuck/Comstock, baggers& taggers" to you all; God bless and keep us as I'm sure he will our Jill. TP.